Japan cryptocurrency company bitbank Inc. announced today that live trading has been activated for the cryptocurrency Monacoin. Traders can now access markets in MONA/JPY and MONA/BTC which have been added to the digital currency exchange at bitbank.cc. Dealings, deposits/withdrawals through the web platform and trading APIs are all possible. The exchange says soon they plan to add other cryptocurrencies in the future as well. 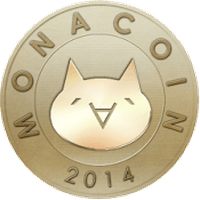 Monacoin is the first cryptographic currency in Japan born in December 2013. It has the famous ASCII art, “Mona” as a motif. Monacoin is a fully distributed payment system maintained by a client program executed on each user’s PC. Although the cryptographic currency tends to be strongly used speculatively, the coin tends to be used more frequently than other coins such in the development of various services by users. It is a cryptocurrency that continues to evolve with the community. The all-time Monacoin chart in USD and BTC terms.